The Helioseismic and Magnetic Imager (HMI) instrument and investigation as a part of the NASA Solar Dynamics Observatory (SDO) is designed to study convection-zone dynamics and the solar dynamo, the origin and evolution of sunspots, active regions, and complexes of activity, the sources and drivers of solar magnetic activity and disturbances, links between the internal processes and dynamics of the corona and heliosphere, and precursors of solar disturbances for space-weather forecasts. A brief overview of the instrument, investigation objectives, and standard data products is presented. Hathaway, D., SDO SDT Panel: 2001, Solar Dynamics Observatory report of the science definition team. Technical report. Accessed 13 May 2011. http://www.nswp.gov/sdo/sdo_sdt_report.pdf. Kosovichev, A.G., HMI Science Team: 2004, HMI Science Plan. Accessed 13 May 2011. http://hmi.stanford.edu/doc/HMI-S014.pdf. Mason, G., LWS Panel: 2001, Living with a star science architecture team report to SECAS. Technical report. Accessed 13 May 2011. http://www.nswp.gov/lwsgeospace/SECAS/LWSSAT_SECASreport_30Aug01.pdf. Scherrer, P.H., HMI Team: 2002, Helioseismic and magnetic imager for Solar Dynamics Observatory. Accessed 13 May 2011. http://hmi.stanford.edu/doc/HMI-S001.pdf. 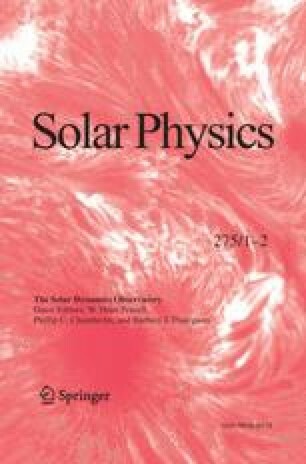 Title, A.M.: 1997, Solar mystery near solution with data from SOHO spacecraft, the Sun’s newly-discovered magnetic carpet may explain coronal heating. Accessed 13 May 2011. http://soi.stanford.edu/press/ssu11-97/.